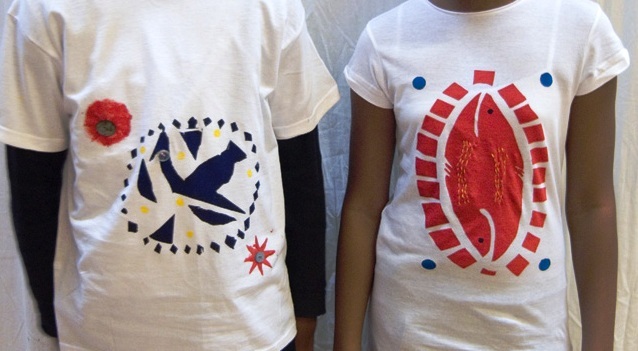 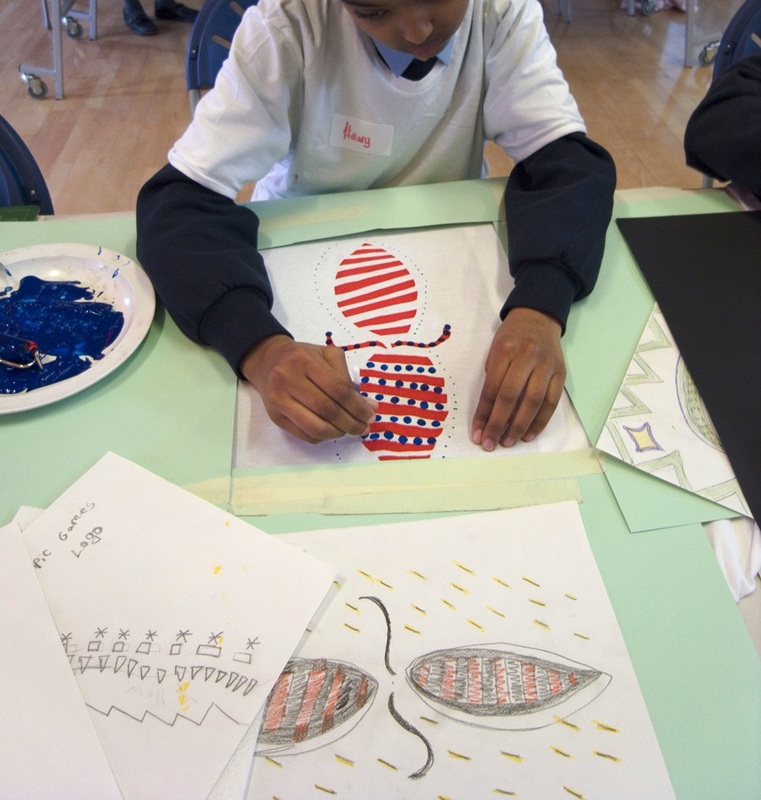 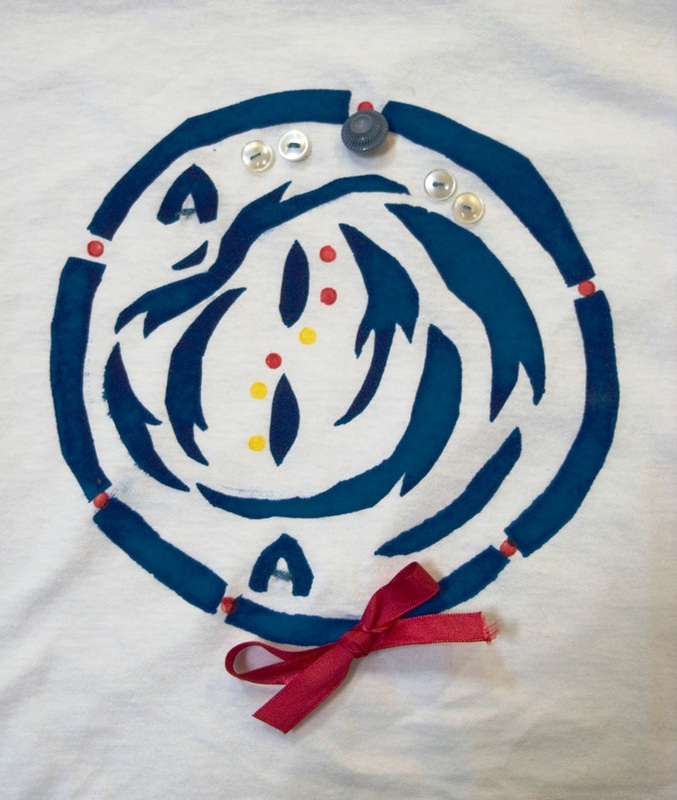 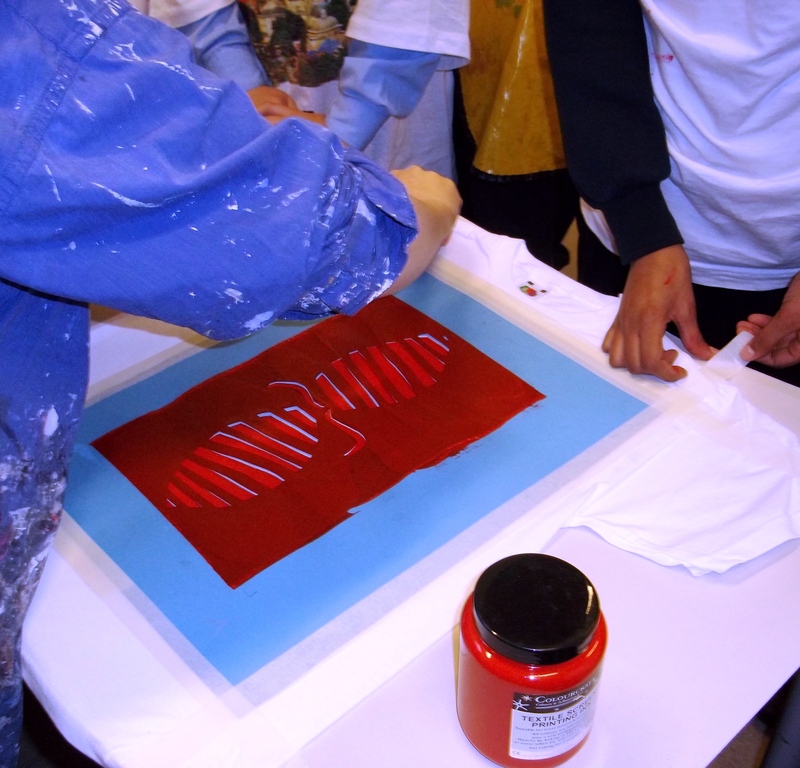 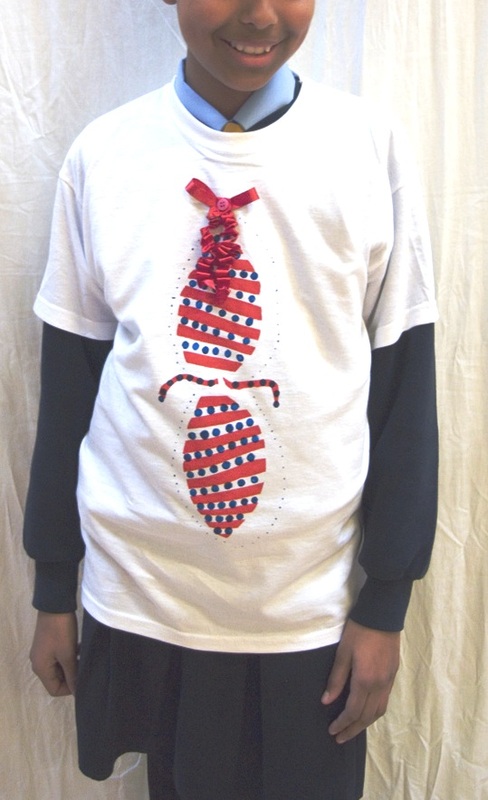 The children created stencils for African inspired t-shirt designs and then printed them. 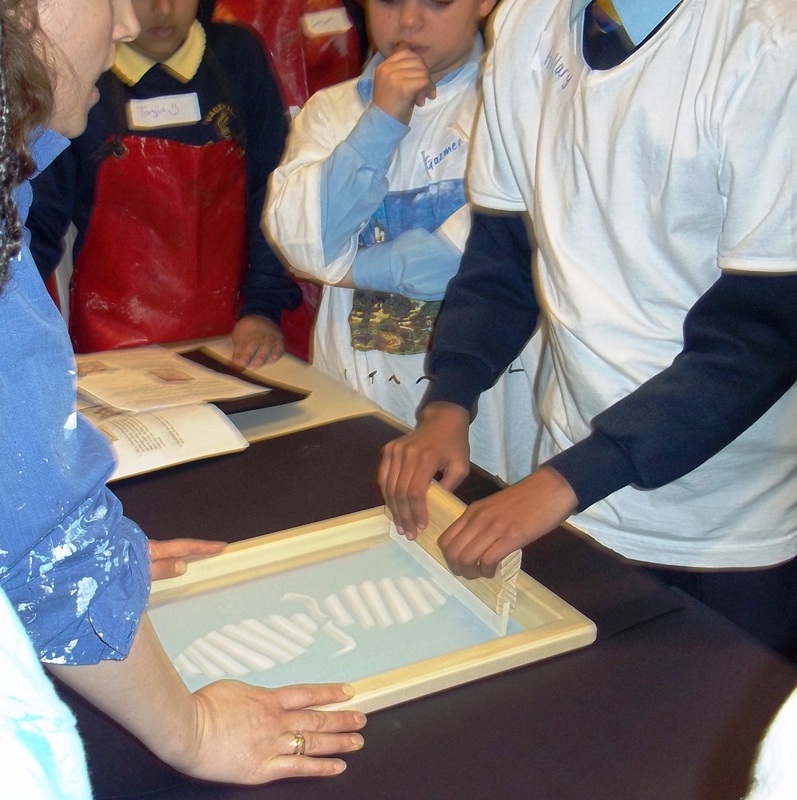 Here are some images from the workshop. 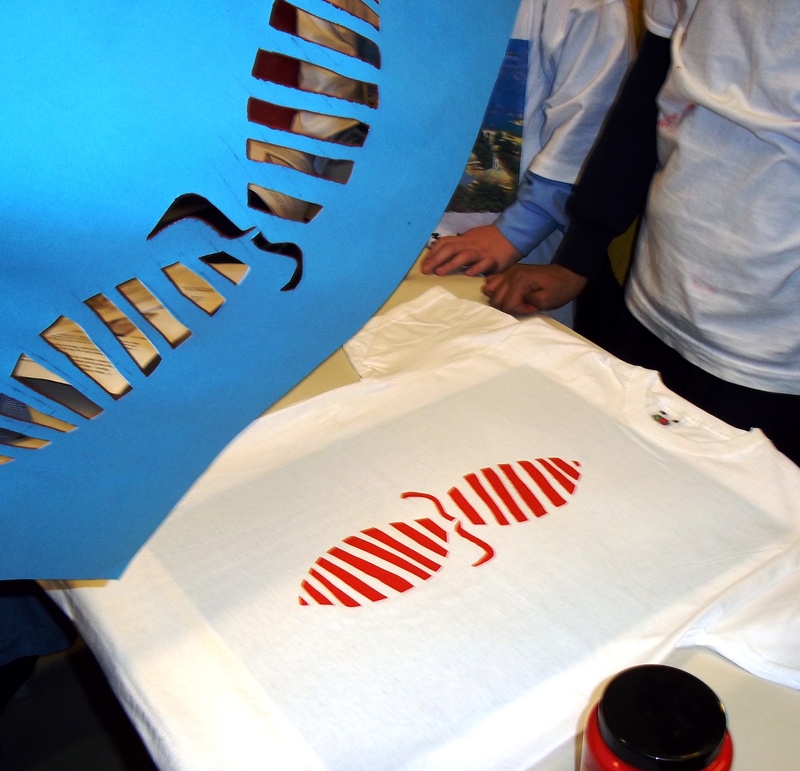 After printing; carefully removing the stencil. 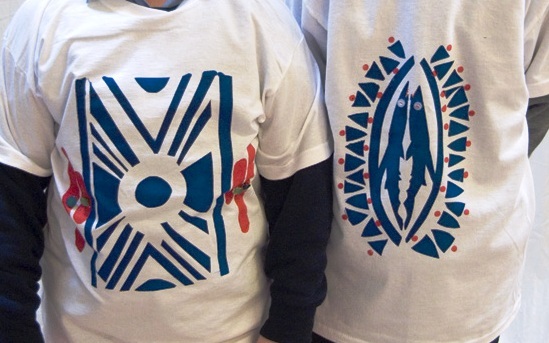 Final decoration was stitched on once the ink had been fixed, using an iron.